A record breaking Fast Electric racing day at Apex! On Weds 17th April we had 6 Club 500 boats racing in 6 races in the afternoon with a large crowd enjoying the free show. 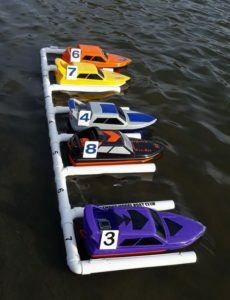 (plus 8 small yachts and 2 scale boats sailing in between the races) Then in the evening round 1 of the Weds night series we had 12 Mini Mono RTR boats in non-stop action racing 8 heats before dark. Sorry no video or photos – we were all to busy! 31/3/19 Club Class to be called Mini Mono RTR – the FE Drivers have agreed to change the name Club Class for Mini Mono RTR from the Weds night series onwards. The new name is to avoid any confusion with the Club 500 class. The class rules remain exactly the same as before – only the name changes. 27/3/19 BST starts this weekend – for those coming along for the IOM Spring Series round and/or Free Sail and FE racing this Sunday 31st March don’t forget British Summer Time starts this weekend so put your clocks forward an hour the night before. 15/3/19 For Sale – HydroPro Affinity RG65 (small yacht) ready to sail and only £50, see For Sale page. 2/3/19 Safe use of the Rescue Boat – the rules regarding the use of the Rescue Boat have been amended. 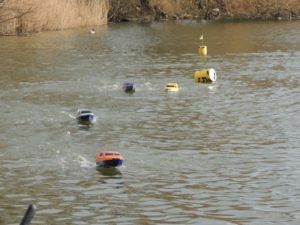 From now on any member wishing to use the boat must consider themselves to be a competent swimmer, have been given instruction on its safe use and complete and sign a “Safe use of the Rescue Boat” form. All members have be notified of this change. The new amendments regarding 7.10 (Rescue Boat Safety Policy) are included in the full rules which have now been indexed, these can be viewed on the “Contacts” sub menu page. 2/3/19 IOM Alice Trophy 10th March has been CANCELLED – we have had to cancel this meeting because almost everyone who would normally attend is either on holiday or away at other meetings! The Alice Trophy will be run on another date TBC. 1/3/19 SOLD – the Spectrum DX6i recently listed on the For Sale page has now been sold. 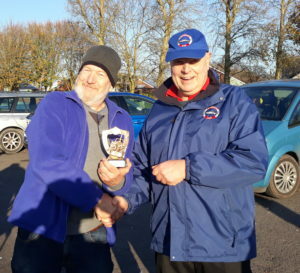 24/2/19 Fast Electric Winter Series – with 1 round to go in the series Russ Chilcott has won the Club Class 2018/19 Winter Series and Chris Locke the Mini Hydro class series. 19/2/19 Dragonforce yacht has been SOLD – only the Spectrum DX6i + RX is left for £40. See For Sale page. 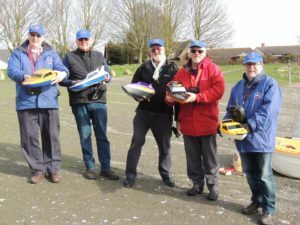 18/2/19 Small Yacht 1 hour endurance race – we had a record entry for the Small Yacht section with 19 skippers taking part in this annual event. It was fairly busy at the start with some good close racing for the entire hour. Well done to the class winners Chris Lewis (MC) and John Woodman (RTR). Thanks to Graham Fright for Lap Counting and Kevin Roberts as OOD. See Small Yachts page for full results, report and photos. 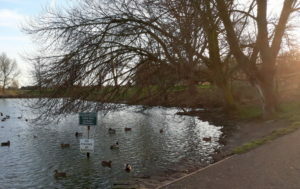 14/2/19 trees trimmed at Apex – After several months, many emails and a few meetings the Council have trimmed the branches on the trees in the right hand corner of the lake. Many thanks to the Friends of Apex Park group, Cllr Janet Keen and Scott Mason for their help in getting this done. Below a “before” and “after” photo. 13/2/19 Club 500 boats are go!!! 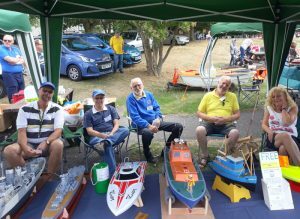 – the club is now holding meetings for the popular Model Slipway Club 500 class boat. Currently it is planned to only race these boats about once a month on Wednesday afternoons. See the Fast Electric pages for more info and class rules. 5 members entered the very first race meeting on Weds 13th Feb and all enjoyed their first race experience. Kevin Roberts was the one to beat as he won all 6 races run! Photos below show the drivers, the new start gate and the boats in action. 10/2/19 IOM Yacht Winter Series – Congratulations to Nigel Clarke who has won the 2018/19 Winter Series with a round to go. 9/2/19 For Sale – IOM “Isis” racing yacht complete and just needs radio. See For Sale page for details and our Facebook page for more photos. 22/12/18 A reminder we have one final meeting this year on Sunday 30th December, in the morning it’s IOM racing (round 5) and in the afternoon it’s FE racing (round 3) plus Free Sail & Scale. 12 noon to 2pm our mobile kitchen will be out and we will be serving hot teas, coffees and soups – if you have any Christmas treats left over please feel free to bring them along! 21/12/18 Full boating calendar for 2019 has been published – see the 2019 Calendar page. 28/11/18 Wet n Dry Race – congratulations to Chris Locke on winning the annual amphibious race. 1/11/18 Sedgemoor are 2018 Champions! – the club has been the top scoring of the 9 clubs that entered MYA south west district IOM events in the district. 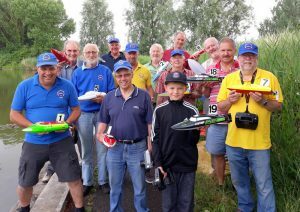 Thanks to Richard Aucott, John Stone, Scott Smart, Daron Maynard, John Woodman and Nigel Clarke for making the effort to take part in the district events and putting the Sedgemoor Club into the top spot! 31/10/18 Winter Boating Calendar is out now – the Clubs full Winter Boating Calendar running from November right through to the end of March 2019 has been published. See Winter Calendar 2018/19 page. 16/10/18 Blue-Green Algae has gone – some good news, algae levels at Apex have dropped sufficiently and as from today we have permission to use the lake “as normal” once again. The extra hand wash, boat cleaner and signs will all be put away – hopefully not to be seen again for a very long time! We will continue to leave out one hand wash dispenser normally kept in the front of the rescue boat at all future club meetings. We would strongly advise you always clean your hands especially if you have something to eat lakeside after using your boat on the lake. The Wet N Dry Race will be run at 2pm on Sunday 18th November. Why not build something and join in? See the Wet N Dry page for more details and the rules. 7/10/18 IOM Yacht racing Summer Series – congratulations to John Woodman on winning the series with a score of 97 points. Russ Chilcott was runner-up on 93 just a single point ahead of Scott Smart who finished in 3rd. Full score sheets and reports for every round and the overall series is on the One Metre Yachts / Latest Results page. 24/9/18 SYFRC meeting 14th Oct – our club will be hosting the final round of the SYFRC (Small Yacht Friendly Racing Club) series on Sunday 14th October. It was due to held at Woodsrping MSC but they had to cancel due to very low water levels. We had nothing on that date and have many members who take part in the series. The SYFRC meetings are run pretty much to the same format as our own Small Yacht Series with “relaxed racing rules” the only difference is that this one will continue on until mid-afternoon. 21/9/18 IOM Sunday 23rd Sept CANCELLED – due to the awful weather forecast for the weekend it has been decided to cancel this Sunday’s (23rd Sept) IOM Summer Series round. 16/09/18 S.W.D.C.S. 5 The results of the SWD MYA event have been added to the IOM section. Congratulations to Richard Aucott on being the top Sedgemoor skipper finishing 2nd overall. 29/8/18 IOM Yacht Weds night series – tonight was the final round of the series, the scores and overall points table have been added (see IOM Yacht results). Congratulations to Richard Aucott on wining the series with a score of 123 points. Nigel Clarke takes runners-up spot on 118, with Scott Smart finishing in 3rd place on 110. 26/8/18 Wet N Dry Race 2nd Sept cancelled Due to the recent Blue-green algae outbreak the Wet N Dry Race due to take place next Sun 2nd Sept has been CANCELLED. We hope to run it on a later date – watch this space! 26/8/18 MYA IOM south west series 16th Sept – our club will host round 5 of the IOM south west district series on Sunday 16th September. It was due to held at Bideford MBC but they had to cancel due to very low water levels. As we had nothing on that date we have stepped in to host it. This meeting is for MYA members with IOM measured yachts only. Info on entry will be on the MYA south west website soon. 10/8/18 Scale Challenge Series – the final round scores, report and the overall points table have been added. See Scale Challenge page. The 2018 series was won my me! (Russ Chilcott) on 167 points, only 5 points ahead Chris Locke (162) in 2nd place, with the Scale Sec. Rob Arlett in 3rd on 140. 4/8/18 Meeting @ Ritz Social Club Mon 6th Aug – A reminder it’s our bi-monthly club meeting on Monday 6th August at the Ritz Social Club, Burnham-on-Sea at 7.30pm. 28/7/18 Playday is on next Wednesday 1st August – Our club has been given approval to run the Children’s Have-A-Go-Boats during the event. We can also run our own boats on the lake during the day but obviously not ones that might produce spray from the water or amphibious models. To play safe we are not going to put Lucinda the dragon on the lake but she will be “doing her thing” alongside our club stand. If you are free next Weds you will be most welcome to join us. Due to the numbers attending (said to be biggest in UK!) vehicle movement is restricted so you’ll need to be on site before 9.30am and cannot leave until after 3pm. As usual we can park on the grass right behind our stand which will be at the top of the ramp on the left hand side. We could do with a few more volunteers to help out running the have-a-go-boats. You’ll be doing it with another member for only for 1 hour. If you can help out let me know. For the first time this year right opposite our stand will be the South West RC Truckers club with their impressive RC trucks and diggers on display. · no dogs should be allowed to drink, swim or paddle in the water · fishing is not permitted · fish caught from the water should not be eaten · swimming is not allowed · all contact with water should be avoided and notices surrounding the water should be observed and abided by. 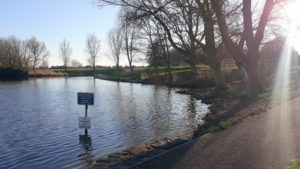 A position statement has been released by us in addition to warning signs being placed around the lake perimeter and in the park noticeboards. The paddle boarding and fishing taster sessions have been cancelled for Playday next week and a revised event risk assessment has been approved by Jo Coles, our Health & Safety Advisor. Parkrun and the Model Boat Club have/will also provide a revised risk assessment as regular users of the park. 23/07/18 We have just been informed that there is an outbreak of Blue-Green Algae in the Apex Lake. Sedgemoor District Council is awaiting scientific test results to establish the type of algal bloom present. 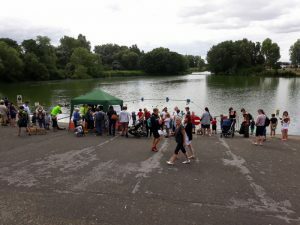 15/7/18 Playday volunteers wanted! If any members are free on Weds 1st Aug 10am to 3pm we are looking volunteers for the 1 hour slots to help to run the children’s “Have-a-go-boats”. Please contact Russ Chilcott if you can help. 8/7/18 So everyone can watch England win their semi-final World Cup match – IOM Weds night 11th July has been CANCELLED and will take place on the reserve date on 29th Aug instead. The afternoon free sail 3.30pm t0 5.30pm will go ahead as usual.